Shopping centre anchor tenants have "stagnated" this year but smart shopping centre owners are offsetting the falls by improving their mix of specialty stores and embarking on a flurry of redevelopment. 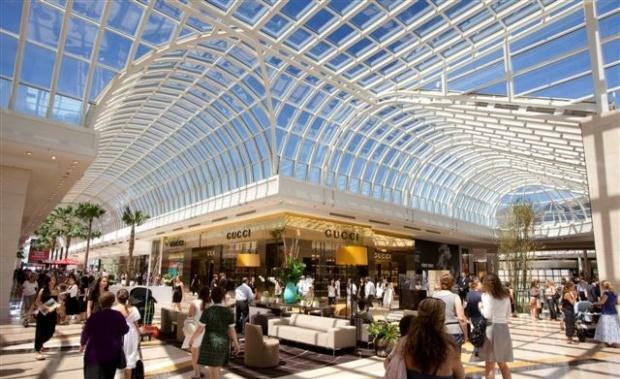 The trend is documented in the Urbis Shopping Centre Benchmarks 2015 report, by property and planning consultants, Urbis. Urbis argues argues that traditional anchor stores such as supermarkets and discount department stores have been affected by "cannibalisation" from new stores, as well as intense price competition and low inflation. During 2015, Coles, Woolworths and ALDI opened 82 new supermarkets around Australia. Kmart, Target and Big W also opened 24 new discount department stores. This level of new store openings in an otherwise low growth and low inflation market has resulted in supermarkets and discount department stores in shopping centres having a flat year in terms of top line revenue growth. Urbis Director Ian Shimmin[/caption]Urbis Director of Economics and Market Research Ian Shimmin said that the strong performance of specialty stores, the continuing evolution of centres to include more non-retail uses, and the growth of mini-major stores in excess of 400 sqm had been the main trends affecting shopping centres this year. “The stores typically referred to as ‘anchors’, because they have traditionally driven customer traffic flow in shopping centres, have stagnated," Mr Shimmin said. "Compounding this trend is the fact that department stores, which have been the mainstay of the large regional centres, have grown by less than 0.5 per cent overall. "Despite this, shopping centres have continued to be important community focal points for a range of functions, not just shopping. They are broadening their mix of uses by including libraries, gyms, offices, personal and business services, as well as cinemas. Fine tuning the tenancy mix in centres to best suit the needs of the market, and to deal with change, are hallmarks of Australian shopping centre management as well as redevelopment. “We’re also about to see the outcomes of a wave of development activity, especially in regional centres, and this will introduce new concepts and advances in the design of centres, as well as new technology, all of which will deliver the best possible customer experience," Mr Shimmin said. "Around 22 per cent of regional centres are currently undergoing some form of development activity, and another 48 per cent have plans in the pipeline. "In the larger centres in particular, the number of customers coming through has outstripped population growth, which suggests that they are increasing in relevance. The tide continues to change and centres have continued to evolve, so much so that specialty stores, which are those most affected by growth in online sales and competition from the majors, are adapting and winning. “We’re seeing far more attention to shopfront design, visual merchandising and product differentiation in the better centres in Australia now, and consumers are responding positively,” Mr Shimmin said. Regional shopping centres and CBD centres have been the standout asset classes in 2015, with specialty stores in these centres increasing by 4.3 per cent and 4.4 per cent respectively, on a like-for-like basis. Mr Shimmin said that across all shopping centre classes, specialty store growth has outstripped the growth recorded by the majors. “This year, we’ve also seen specialty growth in some surprising categories. For example, books are making a comeback in regional centres, and music/video/games stores are one of the main growth categories in both regional and sub-regional centres. These are categories previously impacted by online sales,” Mr Shimmin said. Village Gold Class[/caption]Centres are also likely to introduce more for families going forward. Play spaces, interactive mall games, family friendly events and facilities, and a broader range of entertainment options, even edutainment, are all on the horizon. Chadstone (pictured above) will soon house Australia’s first Legoland, and another edutainment player, Kidzania, is known to be interested in Australia. And look out! Centres are becoming more male oriented. This is certainly an overseas trend. Urbis said that shopping centre owners were in tune with the importance of maintaining sustainable rent levels. A Legoland in the UK[/caption]Regional centre specialty shop rents have stabilised further, with growth at a modest 1.8 per cent. Occupancy cost ratios (rent as a proportion of turnover) declined for the second year in a row, from 18.2 per cent in FY13 to 17.3 per cent in FY15, as some centre owners rebalanced occupancy costs to account for the prolonged low growth environment. This was due to negative rental reversions at some centres, coupled with generally higher specialty shop turnover productivity. In other words, turnover growth has exceeded growth in rents. David Jones’ new approach, which is well and truly on display at the new Eastland Centre in Melbourne, as well as Pepkor’s deal to sell Debenham’s merchandise through Harris Scarfe stores, are signs that Australia’s department stores may finally be re-invigorated.